Grab your flip-flops and get ready to Seas the Day! 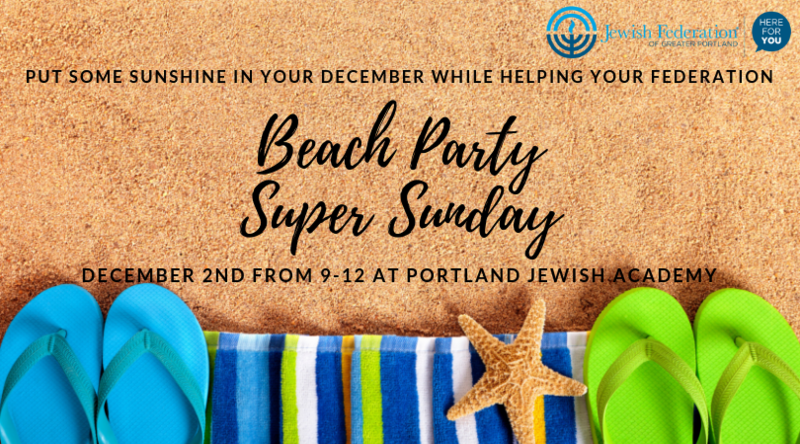 Join us for our community phone-a-thon and make a lasting impact for Jews in Portland and around the world. Help your community by making calls or writing thank you notes. Fun activities for children will also be available. The organization with the most participants wins the Golden Phone Award with $1,000 prize!